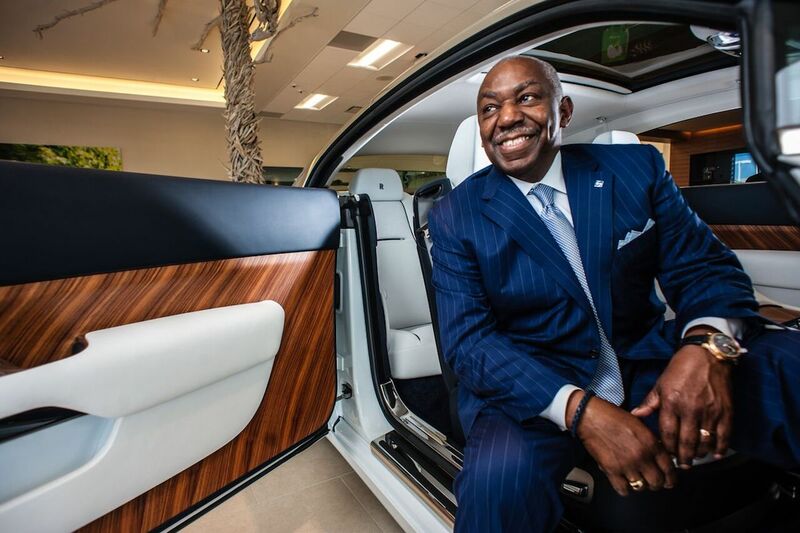 The world’s first African-American Rolls Royce car dealer got there through hard work and perseverance, but only after disappointing his family. Yet, with just a few credits and a dissertation to go, Moorehead abandoned his doctoral program, and his parent’s wishes, for an uncertain shot at learning the automobile business from the bottom up. It was a leap of faith, an offer from a fraternity brother and mentor, James Bradley of Bradley Automotive Group, who promised to make Moorehead a millionaire in five years — if he took the risk. But it wasn’t the promise that attracted Moorehead: “Teaching was a guarantee of a long career, but I always had a passion for business,” he says. His road to success required two years of apprenticeship with Bradley, the mortgaging of his home and the depletion of his savings to enter a training program, then eventually owning his first dealership, selling Buicks in Omaha, Neb.